Disclosure: I was a media attendee and all opinions are my own. Hey guys! 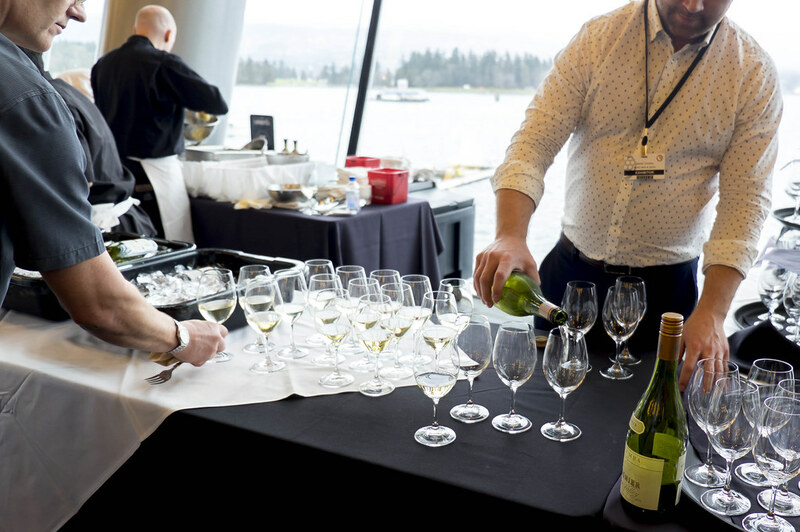 Last week I had a chance to attend the Vancouver International Wine Festival’s 39th annual Vintners Brunch at the Vancouver Convention Centre. 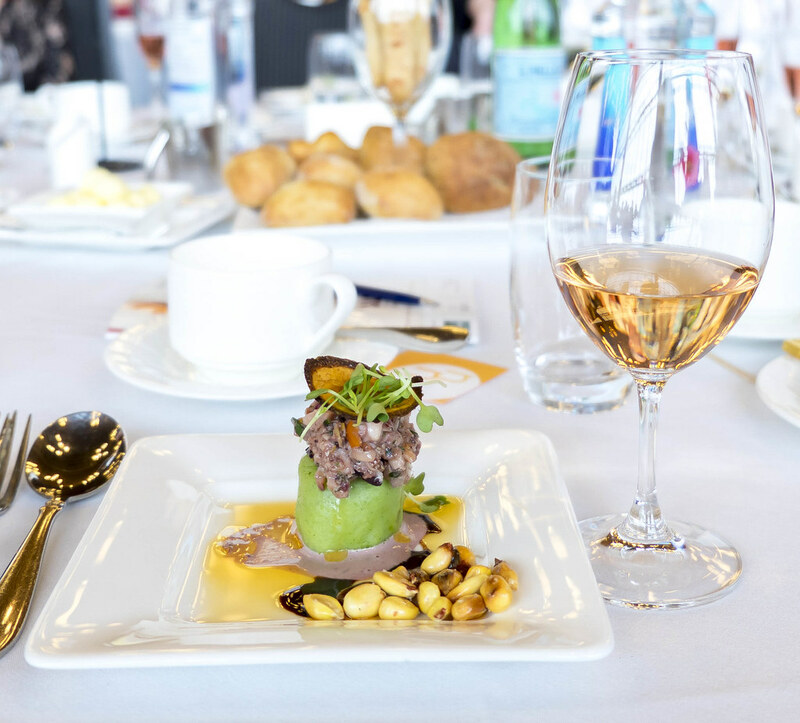 At this daytime gathering, winemakers allowed restaurants to form unique pairings of food or dessert and the winner as judged by a professional panel would win $3000 USD in Delta Air Lines vouchers. With that said, there were 15 restaurants in the mix, and I’ve got some standouts that are places I’m eager to visit (again). Check out 5 delicious pairings past the jump. 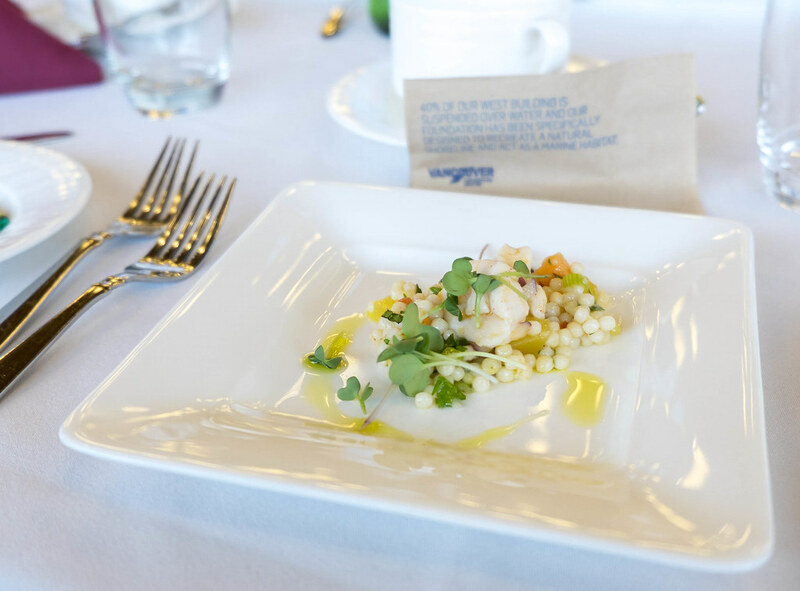 We had a House-Cured Scallop with a Mediterranean Couscous Salad paired with a Yalumba Eden Valley Viognier 2015. 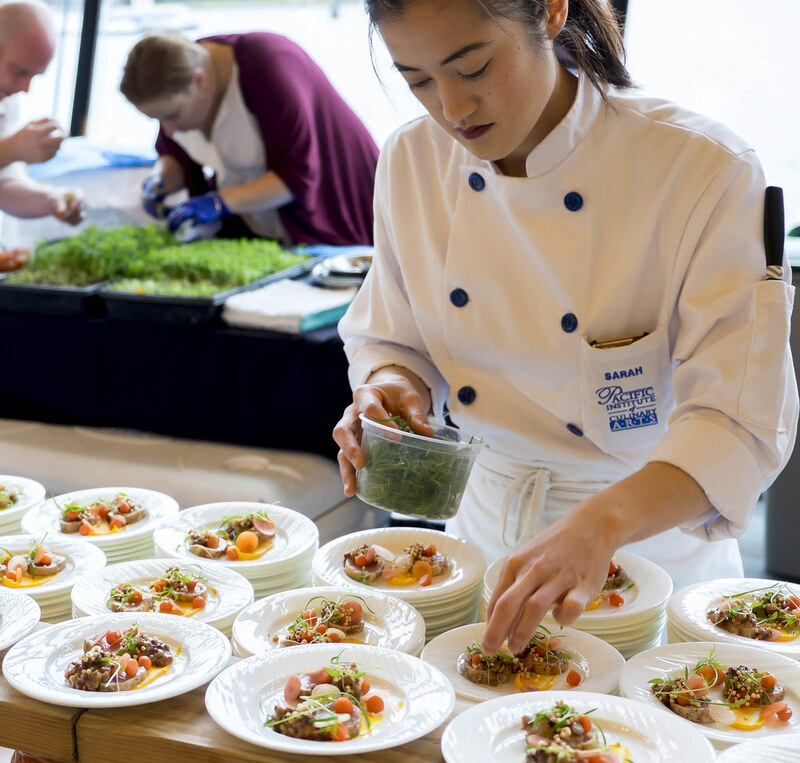 The cured scallop was the tasty star of this dish with hearty couscous whose flavour was enhanced by the citrus fresh feeling of the viognier. 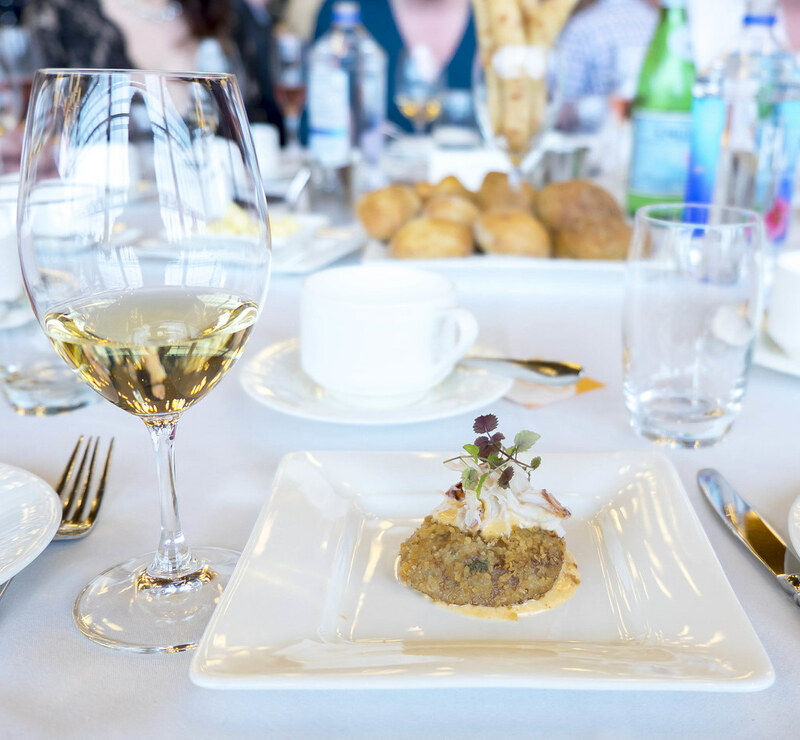 This was a Wagyu Beef Shortrib Croquette and Dungeness Crab paired with a Wente Vineyards Riva Ranch Monterey Single Vineyard Chardonnay 2015. How’s that for a mouthful? This was a dainty little tart but it packed a ton of flavour. The savoury croquette paired very well with the chardonnay which had a toasty vanilla finish. This was a Octopus Causa paired with Suvla Wines Kabatepe Rosé 2014. I’ve always had good things to say about Chicha regarding their colourful creations served both chill and warm. In this case, the whipped potato combined a lot of flavour from the black olive aioli, balsamic reduction, and chorizo oil into a tasty experience. Regarding the pairing, I’m a “rosé all day” kind of guy so this was a (biased) great pairing. We had an Elk Sausage Benedict paired with a Moon Curser Vineyards Melbec 2013. With a meat as savoury as elk, this needed a bold wine, and the malbec delivered. 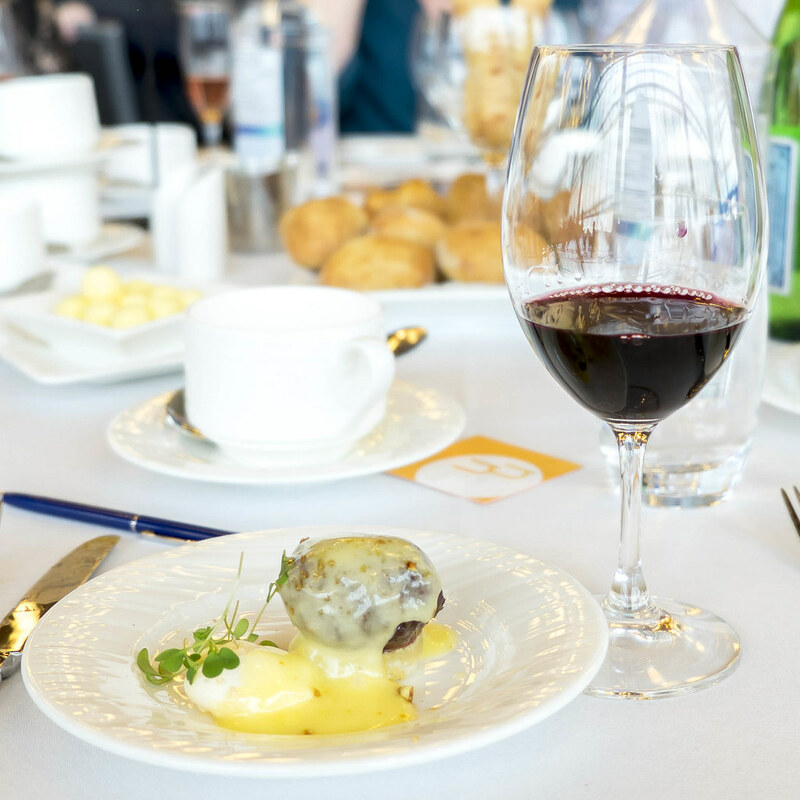 With smooth tannins and black cherry flavour, this wine wrapped itself around the elk sausage and poached quail egg flavours for a satisfying pairing. This was a BC Carrot and Citrus Sorbetto served “A La Piemontesina” paired with a Mondo del Vino Acquesi Asti Spumante DOCG NV. Surprise, surprise! This pairing won the judge’s choice too, but it was an absolute knockout for me. A lactose-free dessert that actually tasted like carrots! I was quite blown away by the work of the gelateria here and firmly believe I’ll be stopping by on my next trip into the West End. 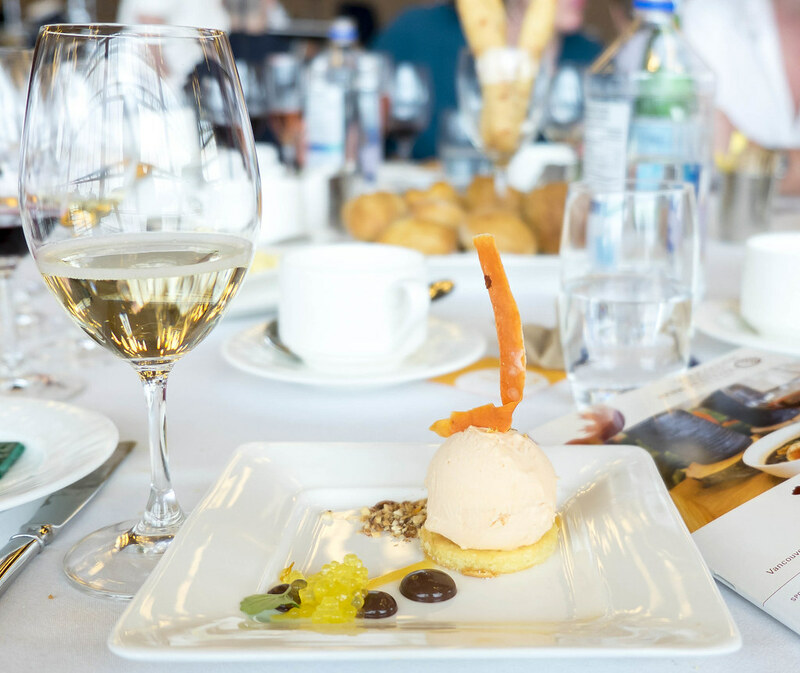 The Asti pairing was a sparkling wine with notes of white flowers, honey, peach, and a touch of citrus zest; all were elements that enhanced the profile of the sorbetto on my tongue. Bravo. 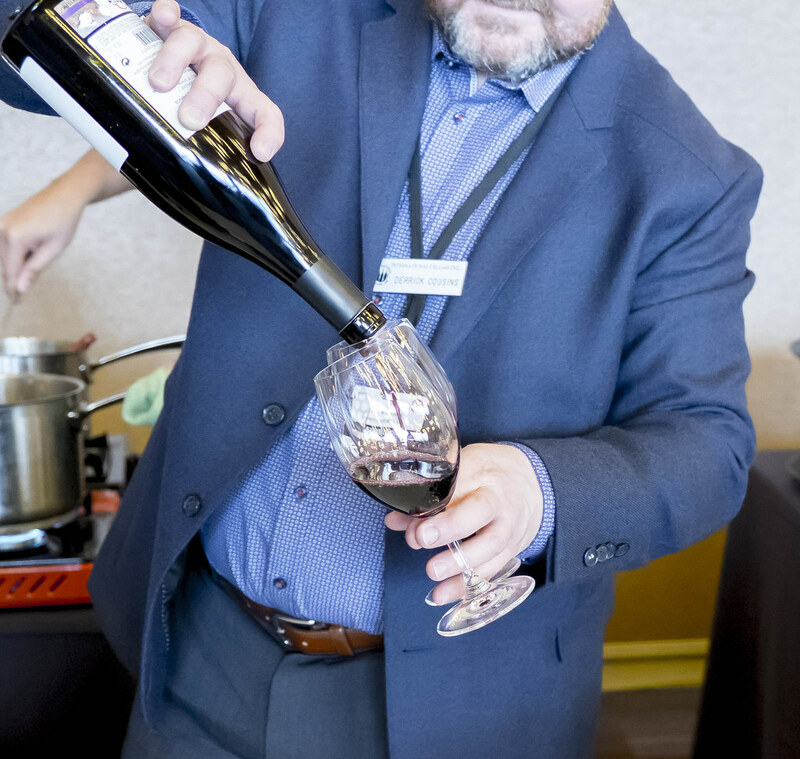 Other than unlimited pairings, there were other activities at the Vintners Brunch. The house band played covers of old songs (e.g. Love Potion #9, Brown Eyed Girl) and when all was said and done, the floor turned into a dancing space. 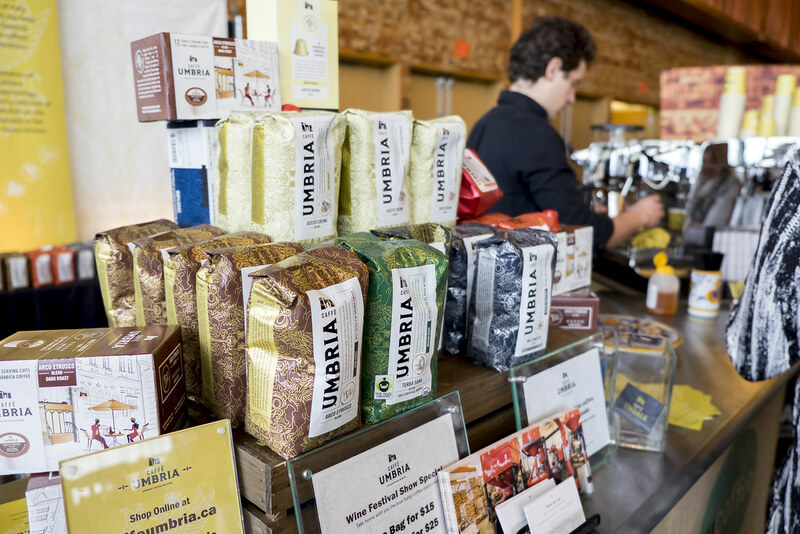 If you had space in between all the pairings, Umbria coffee was on-hand to keep your senses tingling and Arla Foods pumped out the bread and cheese. 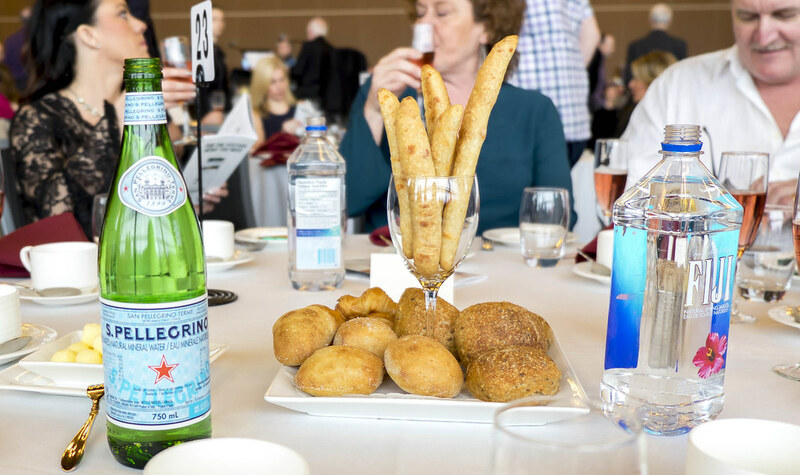 If you had even more space, the dining tables were constantly topped up on breadsticks, (sparkling) water, and buns.